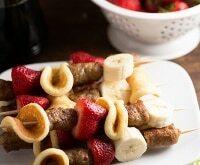 Starting the day off with a big, hearty breakfast just makes me happy. 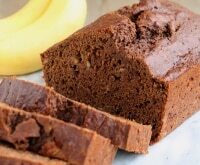 Too much sugar first thing in the morning means I’m snacking on sugar all day long. 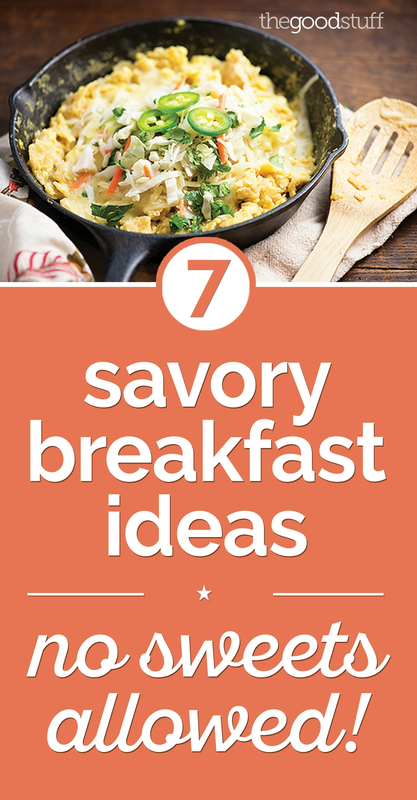 I like to keep things savory instead of sweet at breakfast, and I bet you’ll enjoy these savory breakfast ideas, too! 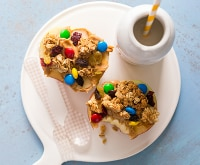 We’ve got even more hearty breakfast recipes right here (sure, they’re tagged for Father’s Day, but even Mom will love them! 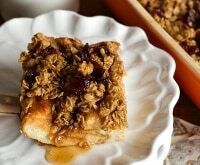 ), plus 13 breakfast casseroles you can make ahead and 8 healthy spins on classic breakfast foods! My cheater chilaquiles are jam-packed with Mexican flavors, but only take 20 minutes to prepare. The Southwestern slaw on top adds fiber and the eggs will help keep you full until lunch. Spray a 10-inch, deep skillet with non-stick cooking spray and heat over medium-high heat. Add the crushed chips to the skillet and cook until warmed. Stir in the beaten eggs to coat the chips. Continue cooking and stirring until eggs are scrambled and chips are only slightly moist looking. Pour in the enchilada sauce and stir to combine. Cook for 2 minutes. Add the shredded cheese on top, reduce heat to low, and continue cooking until the cheese melts. Add the cabbage, cilantro, lime juice, and olive oil to a small bowl and toss to combine. Remove from the heat and serve with the slaw mixture on top. Season with salt and pepper as desired. 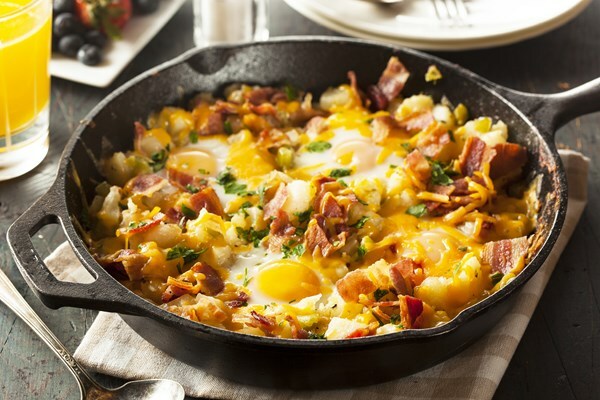 This hearty skillet is perfect for a lazy weekend morning. 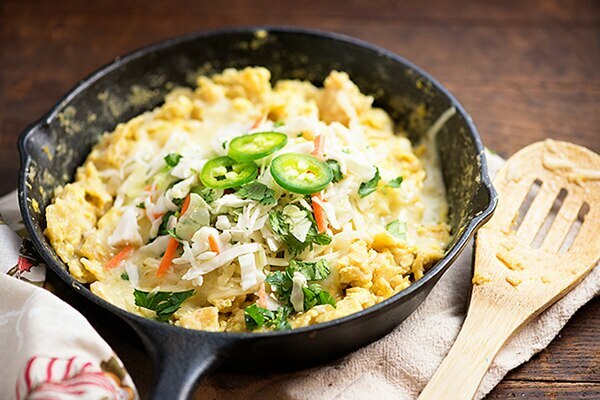 It’s packed with all of your breakfast favorites right in one skillet for easy clean up. 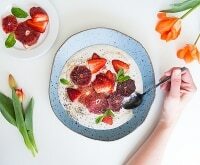 Start your day with salad? Sure thing! This healthy, low-carb salad is made with fresh spinach, arugula, and asparagus. 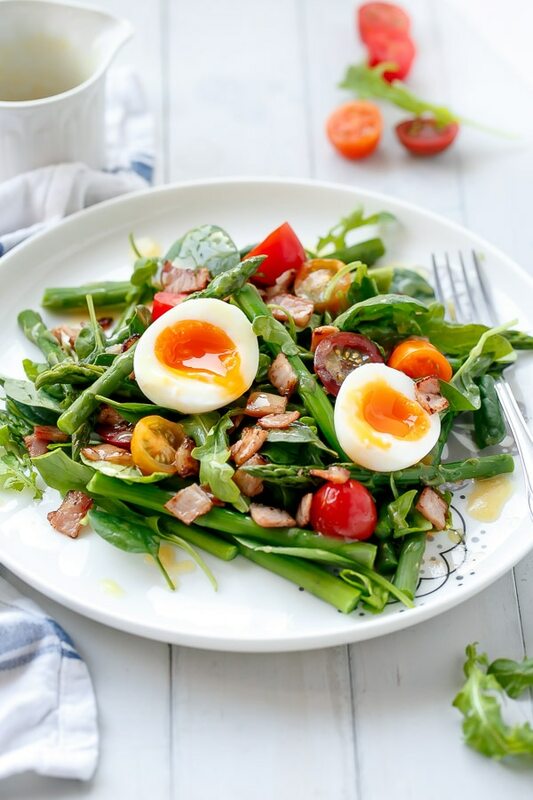 The crispy bacon and soft-boiled egg make it a perfect breakfast salad. 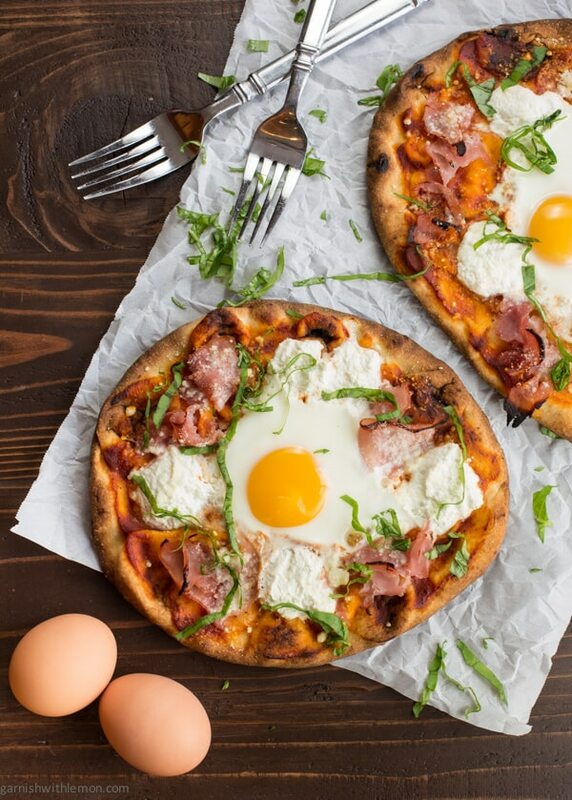 It’s hard to complain when pizza is for breakfast. This cheesy pizza is simple to make on days you don’t want to stand over the stove flipping eggs. 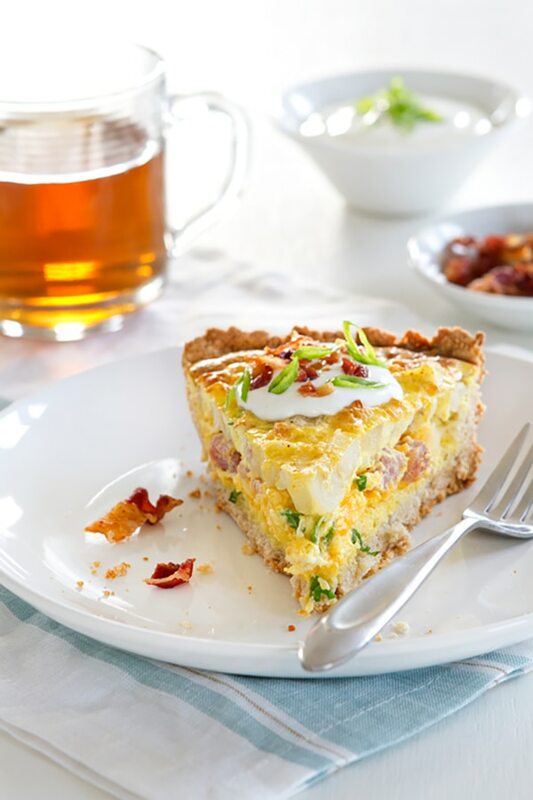 Loaded with flavor, this potato quiche is packed with ham, bacon, cheese, and onions. 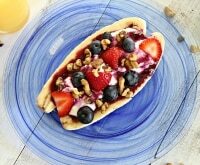 It’s made simple with a Bisquick® crust. 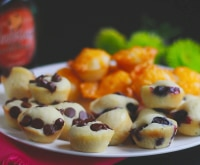 Check for Bisquick® coupons before you shop for your Potato Quiche ingredients! 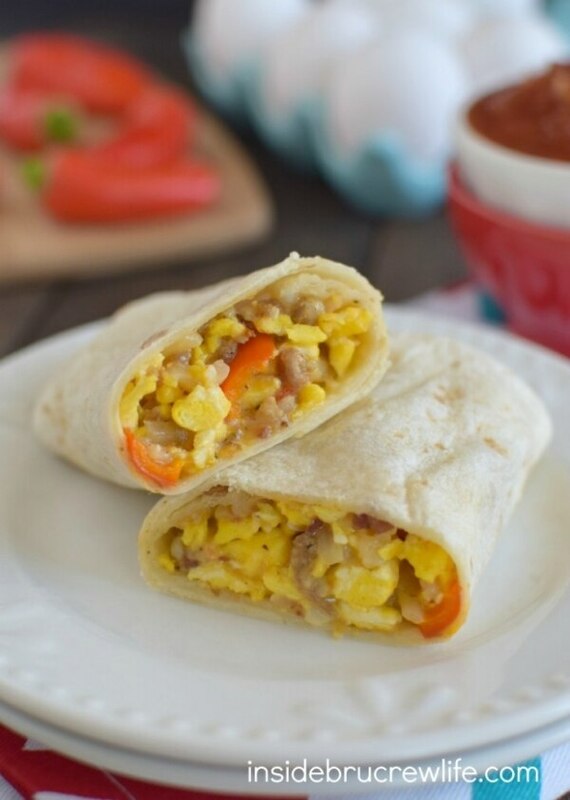 If you’re short on time in the morning, these burritos are the way to go! 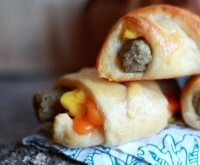 Whip up a batch on the weekend and freeze them for a busy weekday. 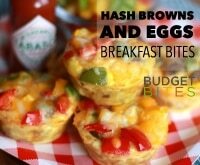 You’ll have a steaming hot breakfast in no time. 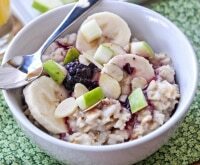 Don’t stress about breakfast in the morning when you’re trying to get out the door. 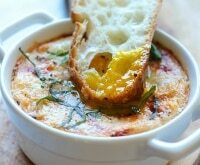 You can prepare these little baked egg cups the night before and just keep them in the fridge. 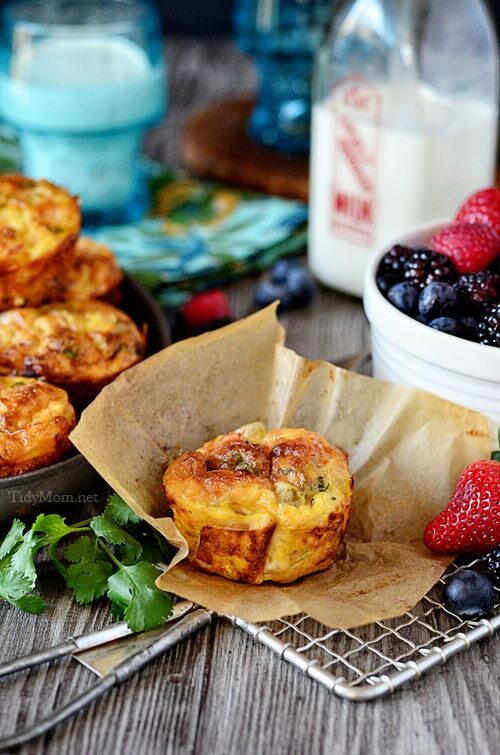 Heat them in the microwave for a protein-packed, hot breakfast no matter what your schedule looks like!